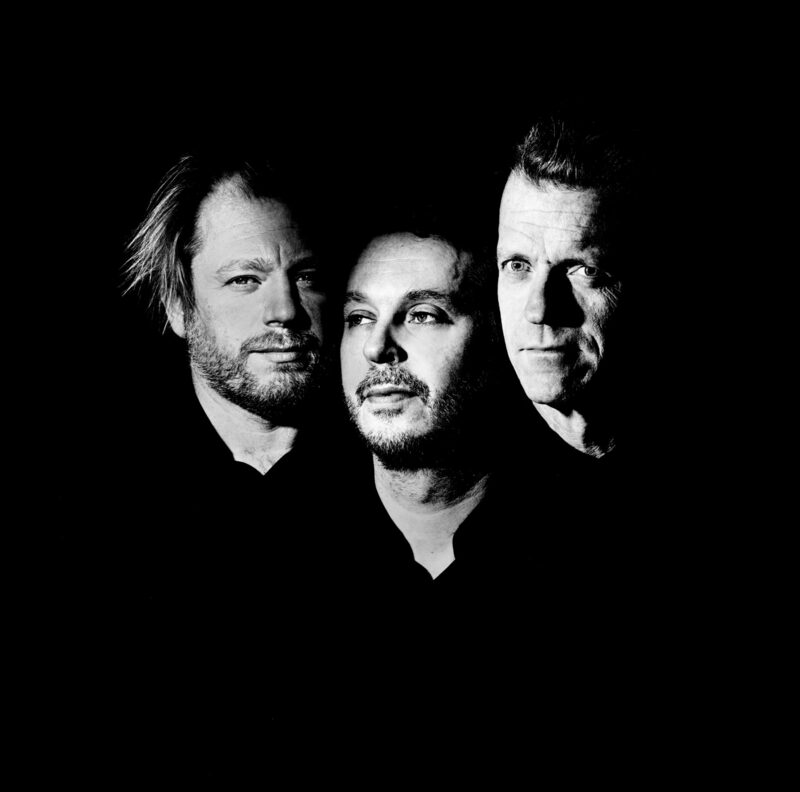 The Daniel Karlsson Trio have since their album debut Das Taxibåt in September 2013 established themselves as one of the most interesting constellations in Swedish and European jazz. Not least through the magnificent hat trick brought home by their sophomore release Fusion for Fish, released in August 2014. The album ended up winning the Swedish Radio’s Jazz Group of the Year Award 2014, Swedish jazz magazine OJ’s Golden Disc 2015 as well as the Swedish Jazz Grammy 2015. Ears have been opened abroad as well, their music met with press accolades and frequent airplay in Germany, but also in the UK and Ireland. Their 2016 release, their third album, At the Feel Free Falafel also garnered a lot of attention with favourable reviews and extensive radio. 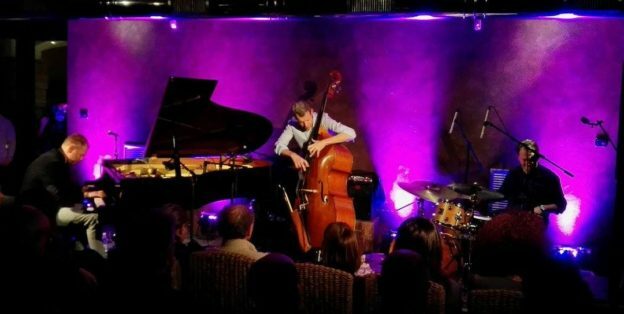 Their last year’s fourth release Ding Dong was nominated for a Swedish Grammy Award for best jazz album in 2018. As before the trio’s flow and rather astonishing production of new music continue… Their fifth outing, aptly titled No. 5, was released in march 2018. Besides touring the trio has also recorded two live concerts for the Swedish Radio as well as a concert broadcast for Italian Radio – RAI Radio 3 and shot several music videos, including one being filmed from a helicopter in the Italian Dolomites and another in thick fog in the Stockholm archipelago. Daniel Karlsson is well known for his work in highly merited Oddjob and Magnus Öström Band. He has also been a frequent collaborator with among others Till Brönner, Nils Landgren, Viktoria Tolstoy and Rigmor Gustafsson. In 2005 he was nominated Jazz Artist of the Year and released Pan-Pan, his first album in his own name. Christian has also toured with Rigmor and Nils and has also been heard with jazz icons such as Peter Erskine, Bobo Stenson and Jon Christensen. Fredrik has also, among others, played with Bobo Stenson and Palle Danielsson. In recent years he has most frequently been heard in indie pop star Sarah Blasko’s band. The three musicians have known each other for a long time and through several previous collaborations. Daniel and Fredrik met when they studied music together in the south of Sweden and got to know Christian some years later when they both relocated to Stockholm. The trio’s music is described as distinctive and extrovert, clearly influenced by 60s jazz, soul and pop but with a clear Nordic scent. All music is penned by Daniel Karlsson. The trio has a tight cooperation with Swedish indie label Brus & Knaster which is distributed in the Nordic and Baltic countries by Playground Music, in Central Europe by Galileo Music in Munich and in the Benelux by Xango Music.